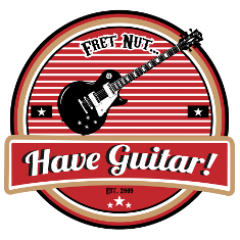 double double Archives - Fret nut... Have Guitar! ToneJunkie continues to deliver free goodies through their ProfileCrate service – here’s a rig showcase on their latest pack – Tangerine AD30! So, this is a smaller pack but is it provides some nice tones… The profiles recreates the sound of an Orange 30 watts amp. In this video I have tried to show off the Kempers strength when it comes to alter the profiles original sound, both through the internal effects of the Kemper but also with a MXR Double Double Overdrive that I just acquired. If you haven’t already you should sign up for ToneJunkie’s Profilecrate – it is free and you will get free profile packs like this with no hustle. And that’s it – hope you like the video! Feel free to support Have Guitar by subscribing – every sub counts! A really Big & Fat Thank You to all you who already subscribes! !